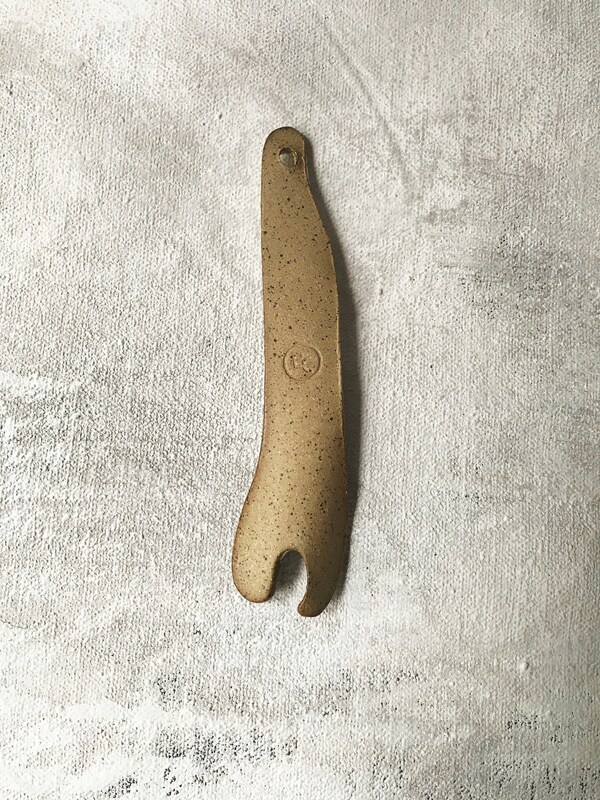 Hand built ceramics serving fork. 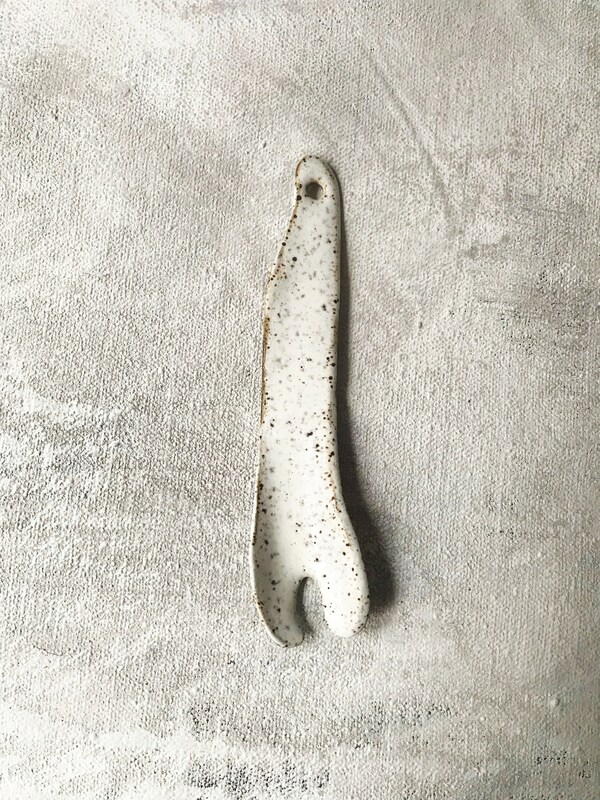 Made in speckled clay with a matte white glaze. Perfection is nothing I stride for, but a rustic mix of Nordic and Asian esthetic. All glazes are food safe!